color photograph; approx. image area 27" X 34"
Painted room and props, paper plates and napkins with live model. color photograph; approx. image area 26 1/2" X 34"
color photograph; approx. 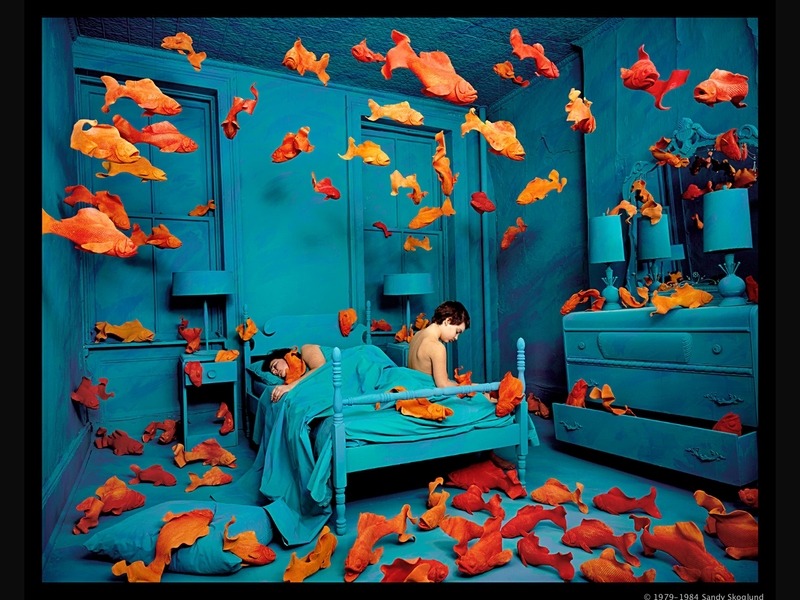 image area 25 1/2" X 32 1/2"
Painted room and props, plastic hangers with live model. color photograph; approx. 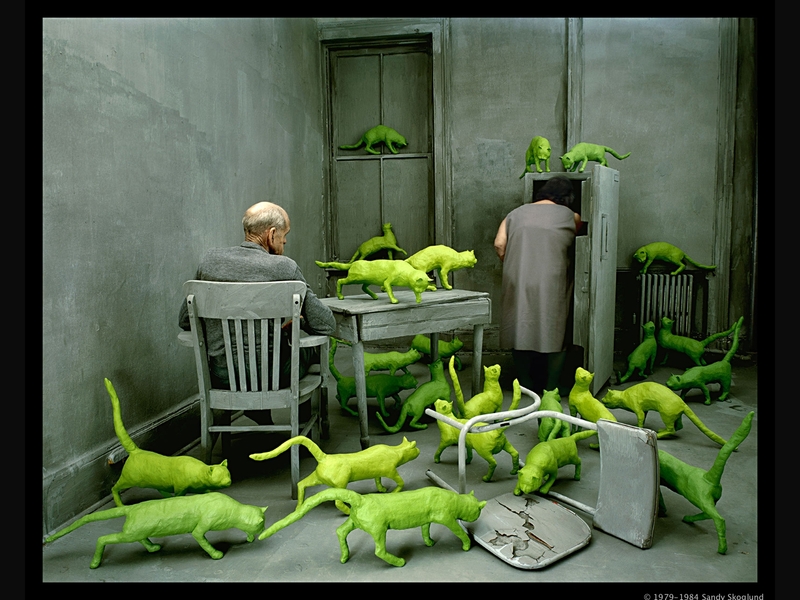 image area 25 1/2" X 33"
Sculpted plaster cats individually made by the artist. color photograph; approx. 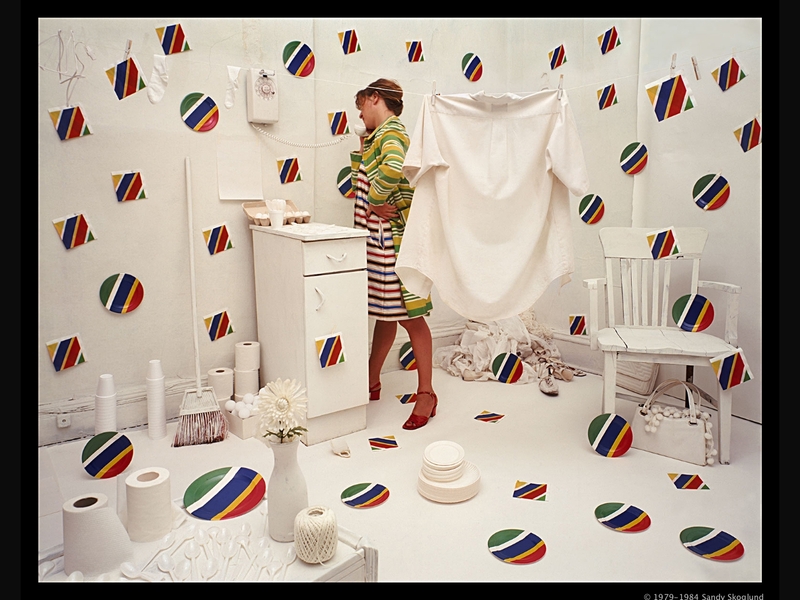 image area 27 1/2" X 35"
with live models in painted set. 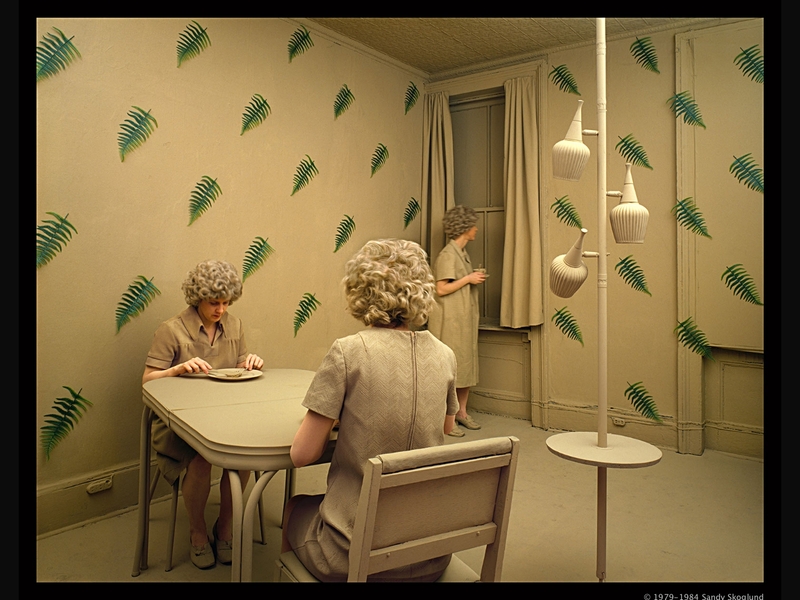 Identical twin models and other models in a painted room with props. color photograph; approx. image area 29 3/4" X 37 1/8"
painted television antennas with live model. color photograph; approx. 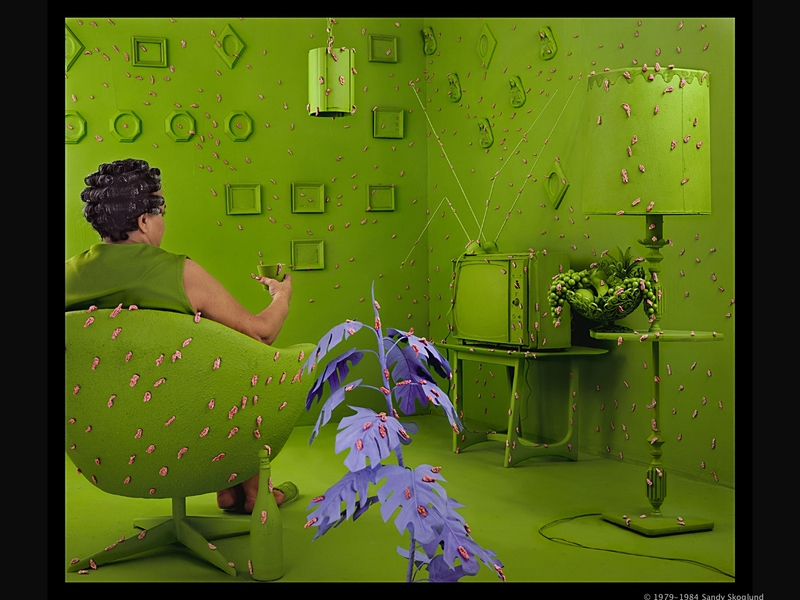 image area 25 5/8" X 31 1/2"
Painted room and furniture, plastic plants, wads of chewed gum and live model.